Cape Town situated at the most south western point of the African continent is known as the gateway to Africa. It was from this point that the early settlers colonised firstly the Cape and then the rest of South Africa. From its early beginnings as a Dutch settlement Cape Town has developed into a modern city with highways, hotels, harbours shopping centres and an airport that compares with anything in the world. For the uninformed there are no lions roaming the streets as many people who have not visited the city believe. What does Cape Town have to offer you? The city of Cape Town is a mixture of old and new. In between the new skyscrapers that line the city centre are numerous older buildings with facades that one would expect to find in London and Europe. The oldest building is the Castle of the Cape of Good Hope which was built in the 1660's, closely followed by the Grootte Kerk which is the mother church of Dutch Reformed church in South Africa. The reason for Cape Town being here is the Company gardens which were established to provide fresh vegetables and meat to ships rounding the Cape way back in 1652. Although now, only a fraction of its original size it provides a green area in the centre of Cape Town where one can sit and relax and watch the world go by. Dominating the skyline is Cape Town's most important attraction, Table Mountain. 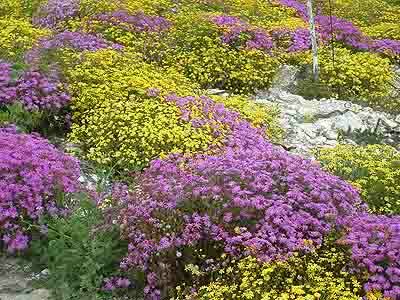 On its slopes which are covered with fynbos there are numerous walking trails and climbs to the top. For the not so energetic there is a cable car which whisks you to the top in a few minutes from where you can gaze out in all directions to see the most breathtaking scenery Cape Town has to offer. Table Mountain forms part of the Table Mountain National Park which stretches all the way to Cape Point at the most southern point of the Cape Peninsula. The mountain itself is one big wild flower garden and has more species of plants on it than can be found in the whole of Great Britain. Cape Town is known for its spectacular scenery, none better than that found along the Atlantic coastline through Chapman's peak drive with its vertical cliffs and drops into the sea. Our spectacular unspoilt beaches with their pristine white sands are a holidaymakers dream and can be utilised for swimming, tanning, surfing and walking or for just chilling out. At the Cape of Good Hope the most south western point of Africa one can breathe some of the cleanest air in the world from winds that originate in the roaring forties and enjoy some of the unspoilt splendour that moved explorer Sir Francis Drake to call the area �The fairest Cape in all the world.� False Bay named by Portuguese mariners is one of the biggest bays in the world and is home to a large variety of sea life. From August to November every inlet and bay along the coastline is filled with Southern Right whales who visit our placid waters to mate and give birth to their young. Many of them come so close inshore that you can almost touch them. 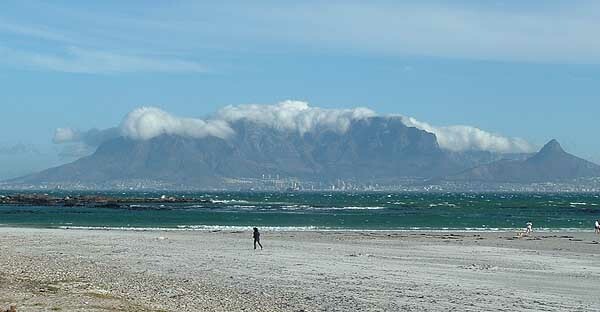 The great white sharks which frequent the beaches along the Muizenberg coastline can sometimes be spotted from the slopes of the mountains surrounding False Bay. Simonstown one of the oldest suburbs of Cape Town has many buildings that date back to the early 19th century. 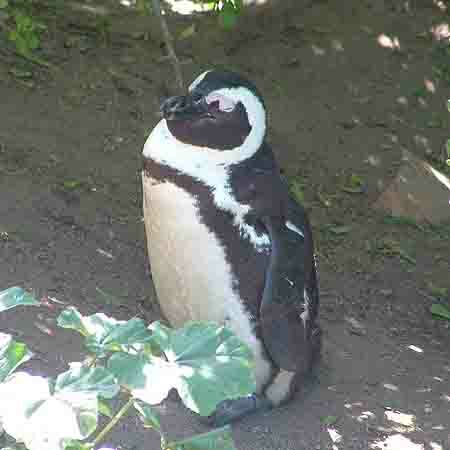 Recently it has become home to a colony of African penguins which have taken over an area known as � The Boulders�. For wine lovers the Cape Peninsula and its surrounding area is a place of plenty as in any direction one chooses to travel one can visit wine estates and enjoy their fine wines and cuisine. The winelands of Stellenbosch, Paarl and Franschhoek produce our finest wines which are available at bargain prices to visitors. The Franschhoek valley has five of the top 100 restaurants in South Africa within its borders so is an area not to be missed by people seeking culinary delights. 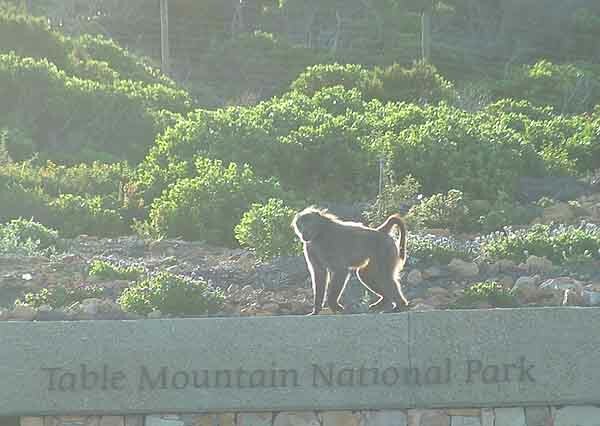 Many visitors come here for a wildlife experience as there are many small game reserves within a couple of hours drive of Cape Town where one can see some of it not all of the big 5. Creature comforts are one of the main things people look for when going abroad and here in Cape Town one is spoilt for choice. We have many spectacular hotels situated in and around Cape Town, many of which are rated five star. Smaller hotels, game lodges, B& B's, back packers lodges are readily available all over CapeTown and offer excellent accommodation for those not wanting to stay in the upmarket hotels. For those seeking a holiday of thrills Cape Town is the place to come to. Extreme sports such as shark cage diving, bungee jumping, sky diving and para gliding are readily available. Cape Town, the Las Vegas of the south and has four casinos within an hours drive of the city centre. Private hospitals in Cape Town provide excellent medical facilities where visitors can avail of medical procedures at a fraction of the price one might expect to pay at home. From Cape Town one can visit the West Coast, the Garden Route and the Karoo which are all within an hour or two of the city and offer a completely different experience to what you find in Cape Town. Cape Town is the best city in all the world.